When my oldest child was four year old, he could vacuum a room well enough that I didn’t feel the need to go along behind him and fix it. That is saying something because I can be particular about cleaning, especially vacuuming. He had been trying to vacuum since before he was one and I had let him help me and move to doing it on his own as the years went by. 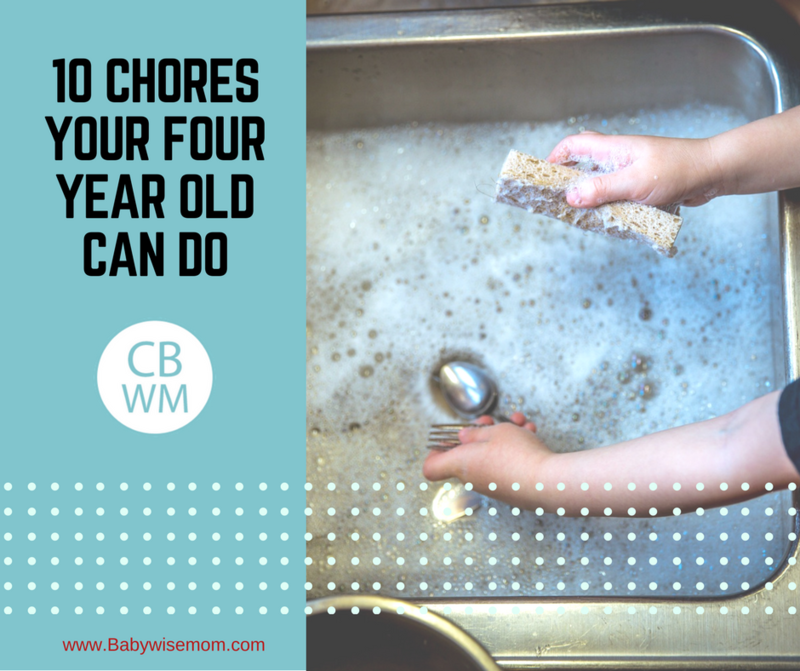 A four year old can do some things around the house that actually contribute and help. A four year old will not have it perfect. He can’t do it as well as you can, but for some things, he can do it well enough. He can feel good about contributing to the home and you can start to have some burden of the home spread out, which means more time for the family to spend together. Children gain so much from working with their parents. 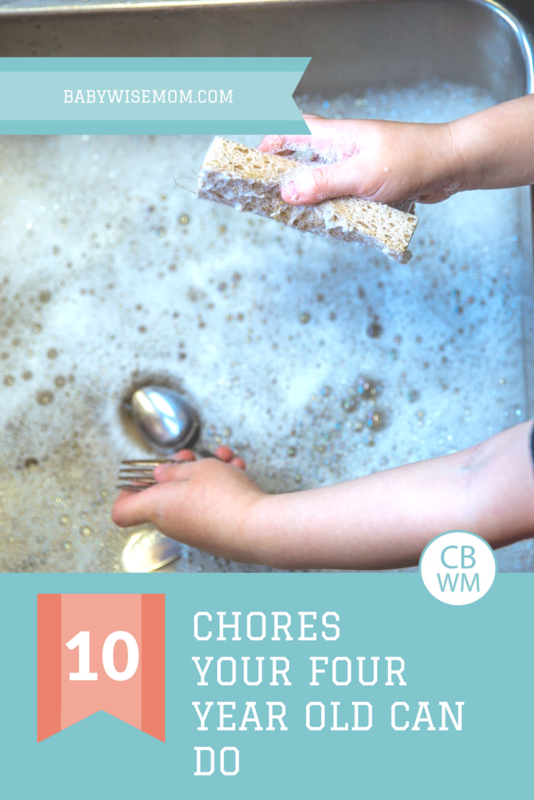 Making chore time a family affair is beneficial to your child. As you decide what your four year old can do, always start by building on and adding to what was done in younger years. 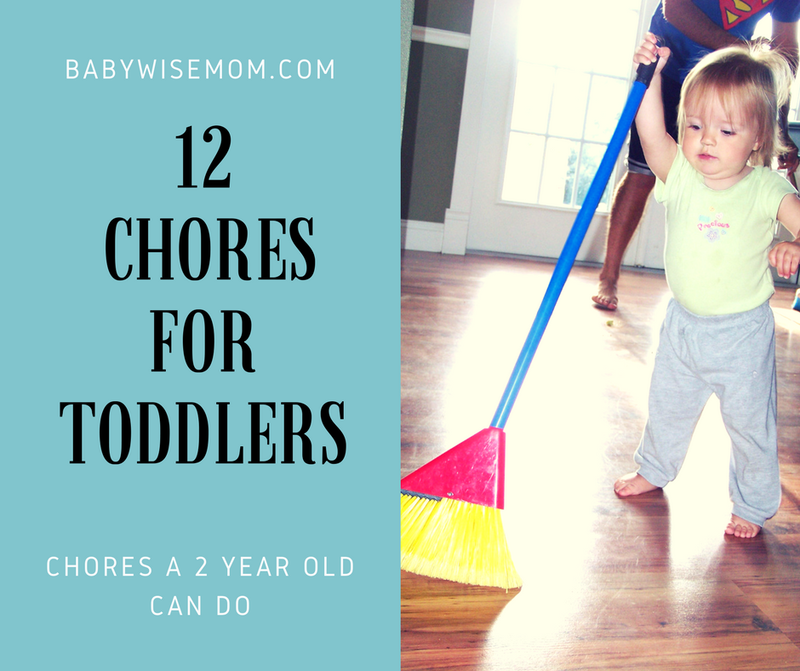 If you haven’t done chores up to this point, or want to know what could have reasonably been expected in younger years, see my post on Toddler Chores and my post on Three Year Old Chores. Here are the things you can add to your four year old’s list of possible chores. Help unload the dishwasher (the things he can reach and can’t be broken). He can even help with some handwashing of dishes. Outside chores. Have your child be involved in weeding, gardening, raking, shoveling, sweeping, etc. of the outside. These are things you want to add to your child’s life as a four year old. 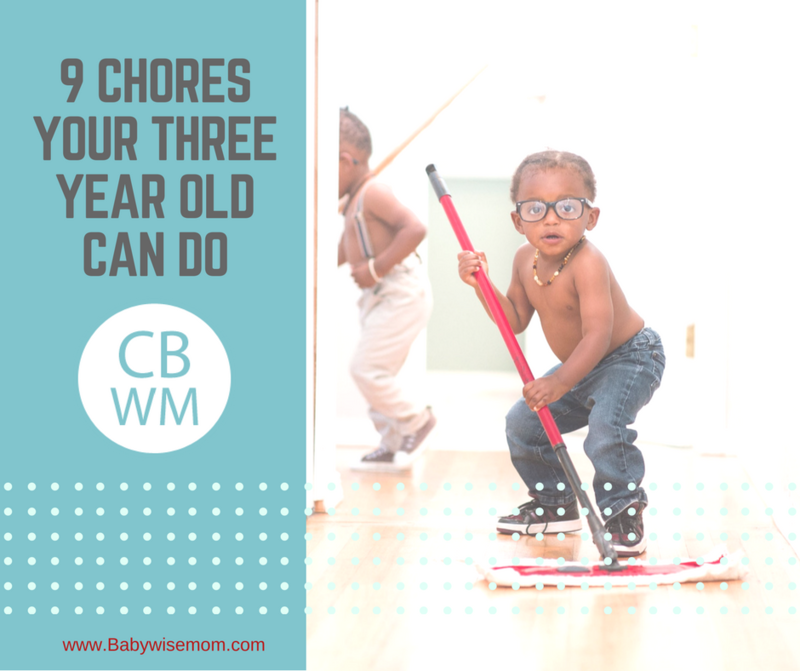 This doesn’t mean the day after his fourth birthday (because throwing chores at someone on their birthday is just mean) that you hand him this list of 10 things and expect him to master it. These are 9 tasks. Perhaps you start the first month of year four reviewing the toddler list and be sure he has those all down. Perhaps month two you review the three year old list and make sure those are good. Then in the third month, you work on teaching him to brush his teeth independently and have a goal that by the end of the month, he will be able to do that. The next month, move on to making the bed (or whatever you think is best from the list above). Always remember you need to teach the skill before your child can even practice. Then your child needs lots of time to practice the skill before he can be good at it. If you are nervous about handing over teeth brushing to your child, try a compromise. When my kids first started this job, I would have him/her brush their own teeth for one tooth brushing session each day and I would do the other(s). That way, I knew the teeth were being brushed very well at least once a day. As time goes on, you can hand over more control. You can also choose to let this be what is done in month 11 of the fourth year, so you child will be practically 5.